I am here to continue to help you pick the perfect dish to cook on Valentine’s Day. Pasta, seared salmon, baked pork chop…they are all fantastic, but they are overplayed in my opinion. This year is the year of risotto; it’s a simple and straight forward dish, but constantly needs your attention (sounds like your mate? please don’t say that to her, or you will end up on the street). Grab yourself a heavy skillet and spatula, let’s get cooking! 1 medium onions, finely chopped, and they do have to be fine. Lightly cook chopped onions (don’t forget to add salt) until softened and add garlic, and then cook for another minute before introducing arborio rice into the skillet. Stir in the rice with onions and garlic and cook until the edge of rice becomes translucent. Start adding chicken stock or broth 1 to 2 cups at a time until the liquid just covers the rice. Leave the heat on medium-low. Stir the rice every 2 minutes for 30 seconds until the grains absorb most of the liquid and you can see the bottom of the skillet. Add more liquid at this point and repeat this step for 30 to 40 minutes. Once you see the rice gets bigger and stickier, start stirring more frequently - an important step to create creamy consistency. Add more salt to taste. Taste your rice for the right consistency; it should be creamy and chewy. Once the consistency is right, add peas, mushrooms, and sardines. 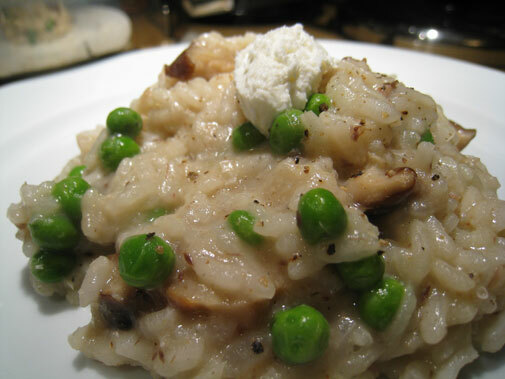 Keep stirring, never stop stirring when making a risotto dish. Once the vegetables and fish are combined, stir in the grated Parmesan cheese and fold the cheese into the rice gently. Turn off the heat and grate some lemon zest and nutmeg to enhance the flavors. Serve immediately and add goat cheese if you like. Goat cheese will add another dimension to the dish…I can’t quite describe the flavor, but it’s darn good - I promise. 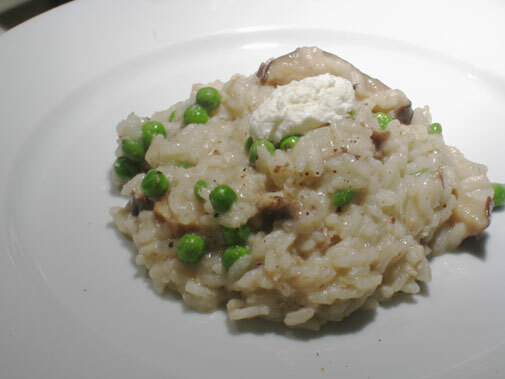 Making fantastic risotto for your mate is genius. She will be impressed by your attentiveness and translate that to your other skills. I also have few suggestions on wine pairing. 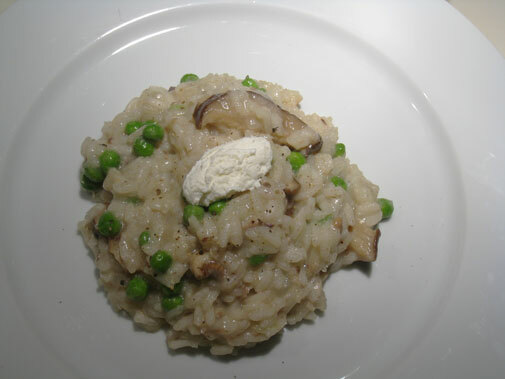 A bottle of dry Italian white wine, such as Pinot Grigio, pairs really well with risotto. If you are feeling a little extravagant, a bottle of aged Barolo (aged for 8 to 10 years), a dry Italian red wine, could lift the meal drastically. Valentine’s day is next week (right? ), and you have taken your mate out on numerous occasions, so wouldn’t you like to surprise her with your culinary skills (don’t worry, I will help you step by step) and cook her a beautiful meal this year? I’ve found the perfect…(again) the perfect dessert to serve at the end of the meal, and I assume you will take over the situation from thereon. We are making “chocolate souffle”, and don’t be afraid…it means nothing but some type of chocolate molten cake and pudding…or somewhere in between. 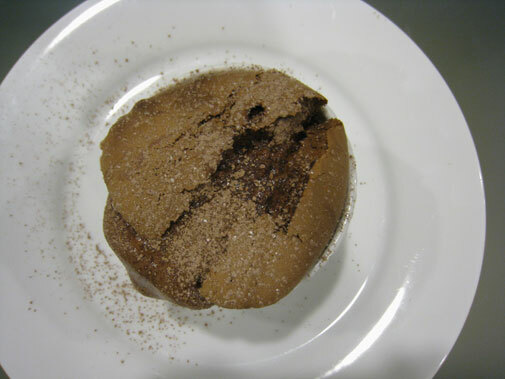 The point is…making chocolate souffle is simple and quick, but it will look like you have spent the whole afternoon guarding the dessert in front of the oven. To separate the eggs, crack open an egg and pour it into your hand and catch the yolk, and be careful not to break it. Place the yolk and white in separate mixing bowls and repeat the steps. Add the sugar (remember to take 1 tablespoon out first) to the yolks, and use either a hand mixer or whisk to beat them together until light and thick, ribbon-like consistency. Now, very important, wash the beaters or whisk thoroughly; not a slight bit of yolk mixture can be on the beaters. Set up a double-boiler by placing a mixing bowl (or a glass bowl if no extra mixing bowls laying around) on top of a pot that has 2 inches of boiling water, and make sure the heat is on low. The bottom part of the mixing bowl should not touch the boiling water. Dump in the chocolate and stir to melt. Once the chocolate is melted, pour the chocolate into the egg mixture and stir well to combine. The mixture will have a thick chocolate pudding-like consistency. In another mixing bowl (you may take out the chocolate mixture and store it somewhere else and re-use the mixing bowl, but make sure to clean the mixing bowl thoroughly), put the salt and cream of tartar (or icing sugar) into the egg whites and start mixing with a mixer or whisk. Beat the egg whites until “soft peaks”, like soft white foam. Start pouring the rest of the sugar in slowly and keep whisking away. Whisk until “stiff peaks” that looks like hard white foam and barely moves if you shake the bowl. Combine the egg whites with the chocolate mixture. Do this step in 3 separate intervals and make sure to combine the egg whites and chocolate completely. Butter your baking dish well, preferably a souffle dish, and pour in the chocolate mixture. Bake the souffle for 20 minutes. 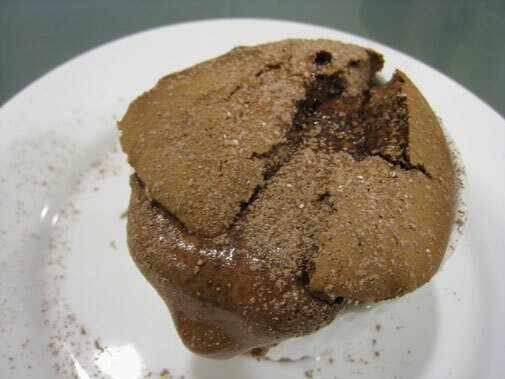 Don’t open the oven under any circumstances or the chocolate souffle won’t be soft and airy. 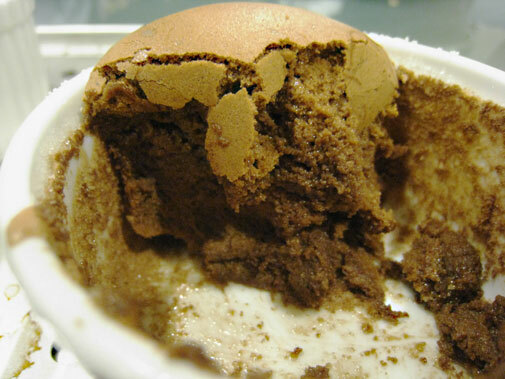 Chocolate souffle is light, yet tastes rich. It’s a fascinating dessert that deserves to be on your dinner table on Valentine’s day. “Clean and press” is not an easy movement because of its great involvement with strength, balance, and flexibility. However, start with only bar-weight and learn the right techniques and it’s one of the best exercises that could help you build athleticism in short amount of time. Being able to integrate total body workout into your routine can also help you exercise efficiently. I often implement total body movements into my workout to help me achieve my goals and shorten time spent in the gym altogether. Below is a protocol of my integrated total body workout. I had two friends over last night for dinner. I was determined to make a dessert that could comfort us after a tiring business trip to Philadelphia. I also drizzled some maple syrup on top of the pudding to give it a nuttier flavor. 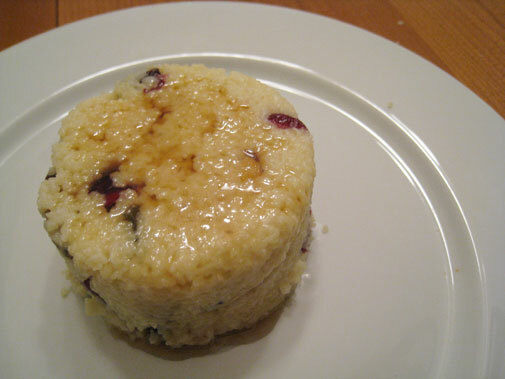 I remember reading about Mark Bittman’s couscous dessert a while ago. The dessert takes a little time and effort, but offers great flavors and texture. 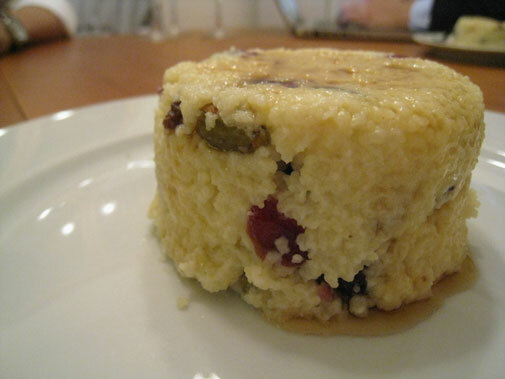 I turned Mr. Bittman’s recipe, meant to be eaten like warm cereal, into pudding. I followed the steps carefully, but I had used different ingredients. I used organic whole milk instead of almond milk, vanilla extract instead of orange zest for flavoring, and added both cashews and pistachios. I also substituted raisins and craisins for dried apricots. The total cooking time was only 10 minutes, including simmering couscous for 5 minutes. My friends liked the dessert very much. 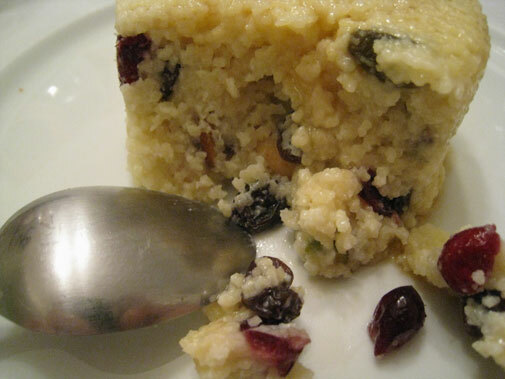 I absolutely recommend making Mark Bittman’s couscous dessert the next time you are cooking for guests…or perhaps your mate for the upcoming Valentine’s day. Peter, Melanie, Sei-Wook, and I are doing a “100-dollar challenge” in February. We are only allowed to spend 100 dollars on food and drinks. I am motivated to do this challenge because I’d like to save some money and hope to learn to manage my spendings more wisely. I have been eating a lot of leftovers, including rice and mashed potatoes from a week ago (fortunately, I am fine). Cooking (or reheating) every meal is absolutely necessary in this challenge. Although I have been promoting eating local and seasonal ingredients, I do have to sacrifice my belief and eat produce shipped from mid-west, or as far as from west coast. However, I’d still like to help people to get back to the kitchen and cook more often. Having a small budget for food and drinks will cut down my spendings. However, I neither plan on starving myself nor buying highly processed foods. 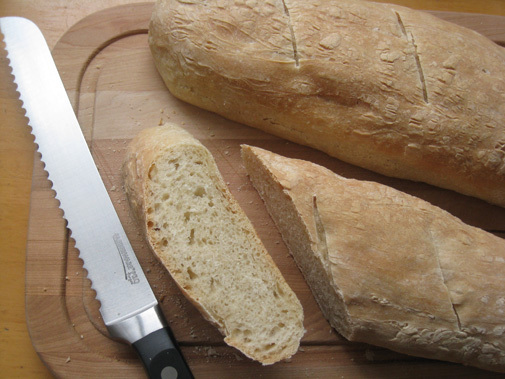 My strategy is to eat more natural plants, grains, and homemade bread. I am currently learning how to make different varieties of bean dishes and bread. I welcome any tips and recommended recipes. The first loaves of French baguettes that I have ever baked. My friends and I have set up a shared blog on posterous. Each one of us will update frequently with pictures of the food that we make and the amount of money spent. Please visit our blog and leave us some comments to keep us motivated. 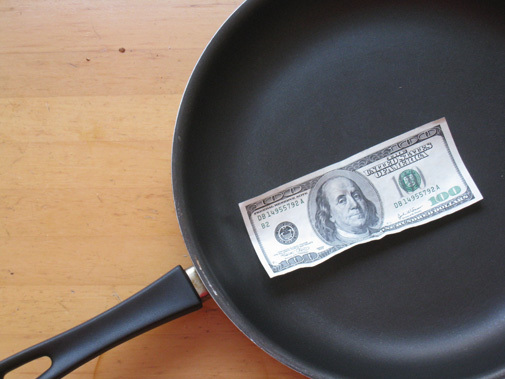 What is the cheapest dish you have ever made? One of the best ways to get rid of stale bread is to make French toast for breakfast…or dessert and top it with ice cream. I love having French toast for breakfast. 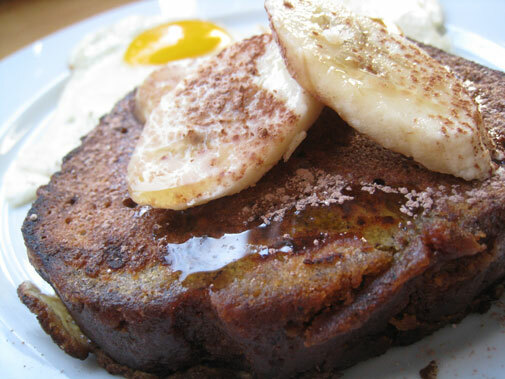 For me, a perfect slice of French toast is a little crispy on the outside and soft and moist inside. 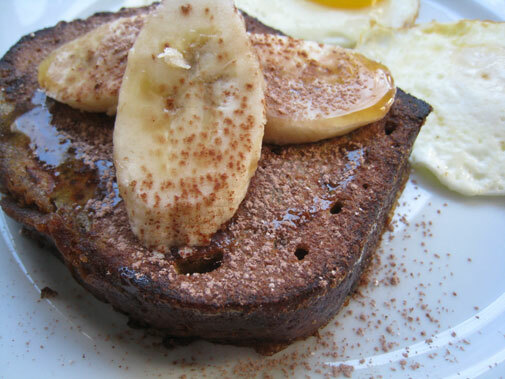 Eating a nicely grilled French toast is comforting after my morning workout. I used banana bread that was made last week. To get some flavors onto the toast, I beat 1 tablespoon buttermilk and 1 teaspoon vanilla extra into the egg beater to be soaked up by the bread. A nice slice of French toast also does not need to be overwhelmingly sweet. I finished the dish by drizzling 1 teaspoon of maple syrup on top and sprinkling some chocolate dusting, made of 1 part of each cocoa powder and icing sugar, around the plate. How do you like to top your French toast with? 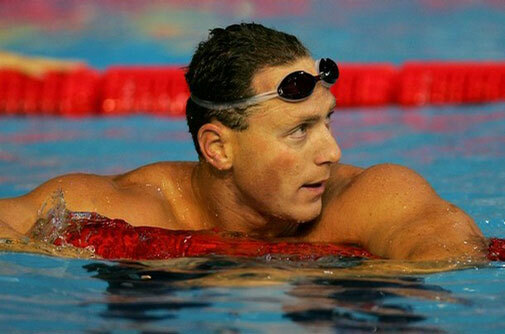 I have been inconsistent with my training in swimming lately. I went to practice with my swim team in New York this weekend for the first time in two months, and I nearly could not finish the sets. I have also been working on different stroke techniques for freestyle; therefore, my body is out of the sync during the transition period. My next biggest race, northeast regional championship, is at the end of March. I am determined to be ready within the next two months. Below is the workout on Saturday with my swim team. Have you ever spent a lot of time preparing for a dish only to screw it up by overcooking it few minutes? Have you ever wanted to look up a recipe while shopping in the store? Have you almost broken your laptop (from having the recipe opened next to your stove) by spilling some sauce on it? Don’t worry, your cellphones will solve all these problems. Chefs in the restaurant have used cellphones to text their sous chefs and let them know their mistakes. Many amateur cooks, like myself, often get inspired when browsing down supermarket aisles and use their mobile devices to search for new recipes. I have almost broken my laptop after spilling some pasta sauce on it (what was I thinking by placing my laptop next the stove). However, with faster internet connections and new culinary gadgets on cellphones, they have become one of the top kitchen tools; people shop with recipes open on their phones, and they are less likely to be spilled on if you must have them in the kitchen. 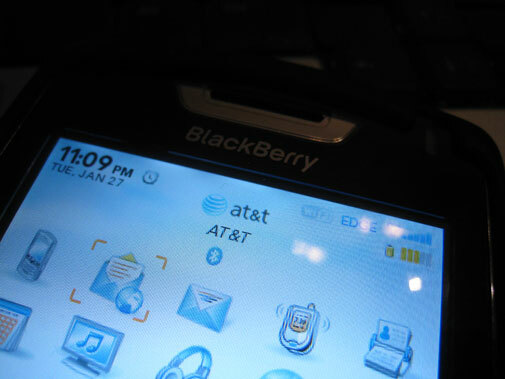 Besides providing information, cellphones can take great quality pictures and have them sent to family and friends. Have you “phoned” a recipe yet? 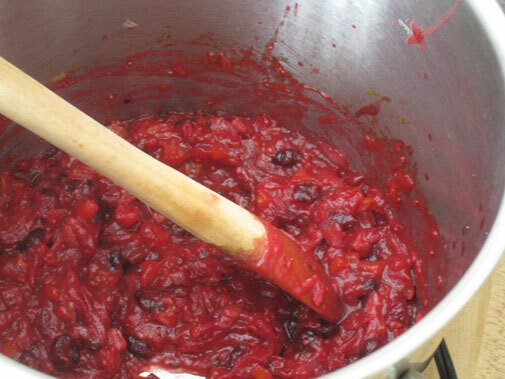 Cooking cranberry chutney on the stove. Stirring is the key to keep the food from burning on medium heat. Chutney is a type of condiment made of seasonal fruits with sugar, vinegar, onions, and spices. Chutney has similar consistency to jelly, and it is used in many ways to enhance flavors. I came across President Obama’s inauguration luncheon menu earlier this week and chutney was one of the condiments used in the main course. While gluing closely to the TV for President Obama’s ceremony, I was also working diligently in the kitchen and creating my own version of chutney. 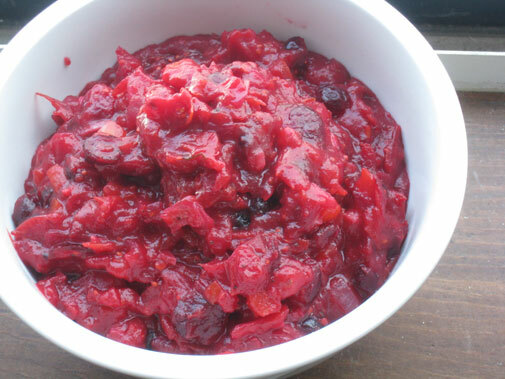 I decided to make cranberry chutney because of its beautiful and balanced acidity and sweetness. The versatility of cranberry flavor also allowed me to introduce other flavors into the dish, such as citrus and common spices like cumin and cinnamon. The finished product. I pureed half of the chutney until smooth and left the other half in chunks - the perfect combination for spread. Chutney is a great condiment because of its usefulness. 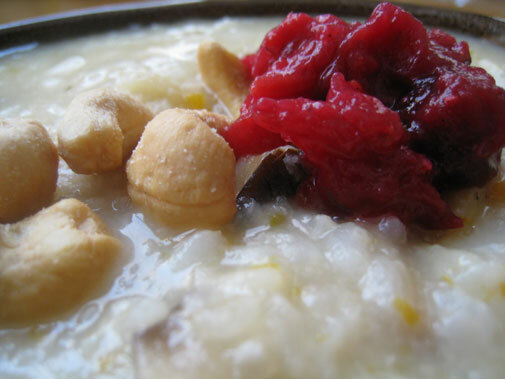 I have paired cranberry chutney with braised pork roast and winter squash congee (porridge). Chutney can come with many flavors, depending on the fruit used. Apples and clementines are the most popular winter fruits. So pick them up and guinea-pig a chutney recipe! 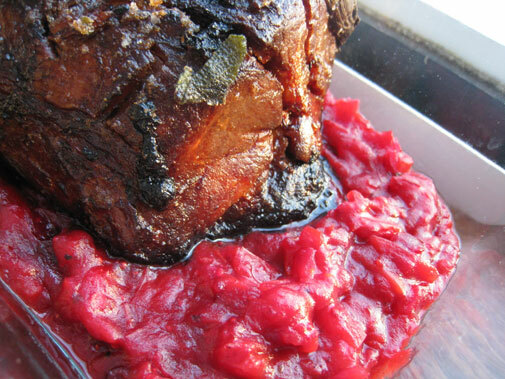 Braised pork roast on cranberry chutney. Chutney with winter squash congee.